The KnittBar is an advanced and flexible modular power strip that consists of a main unit measuring 122 x 56 x 36mm, a 1.8m length cable and multiple optional modules. 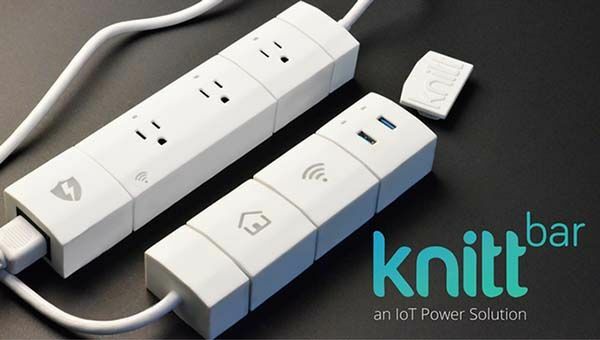 As we can see from the images, the modular power strip has a minimalistic and portable design, so you can easily deploy your KnittBar anywhere in your house. The main unit of KnittBar comes with two three-prong outlets to power your appliances. 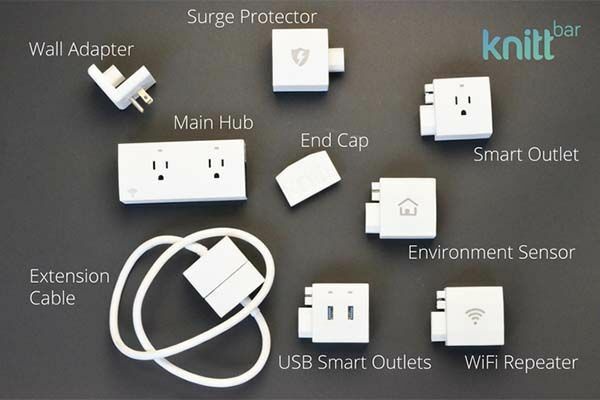 Using built-in WiFi connectivity, the smart power strip wirelessly communicate with your smartphone, so you can remotely and individually control every outlet or set schedules for the outlets, or view your electricity usage, and it also supports IFTTT, meaning that the smart power strip interacts with your other home smart devices. 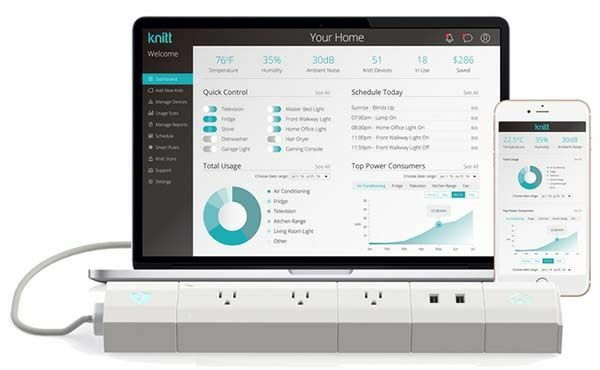 As a modular power strip, the KnittBar has multiple optional modules including extra smart outlet, smart USB port supporting USB QuickCharge 3.0, environment sensor, and surge protector, so in addition to charging your mobile devices, the power strip is also able to detect the ambient temperature, humidity, light and sound and provide extra protection for your devices. Moreover, WiFi repeater module helps you extend your existing WiFi signal, and a smart USB-C module is designed for your USB-C equipped MacBook, laptops and smartphones. In addition, using a wall adapter unit, you can also transform your KnittBar into a wall outlet. The crowdfunding campaign for KnittBar is ongoing on Kickstarter. You can pledge $39 to $89 to preorder the modular smart power strip with one or more modules. It will be shipped in March next year. BTW, also don’t miss YOUMO modular power strip and more related cool stuff by following tags.